B. 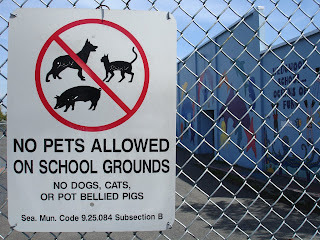 Permit any cat, dog, potbelly pig or other animal to enter any public fountain or any school ground while school is in session or during after-school activities." Miniature goats are covered separately (and much more restrictively) in subsection E.